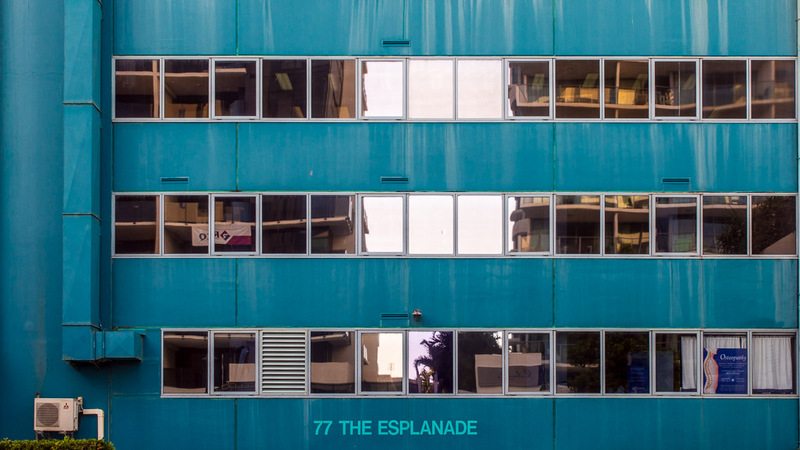 You can search here for other photos of 77 The Esplanade, ones from the front with the Norfolk pines reflected in the glass. The rear of the building has no redeeming feature as far as I can tell. Well there is that little bit of hedge just below the air conditioning unit, but it's got a long way to grow if it's going to improve things. Unusual colour for a building. Why would you want to hide your air con?